It is common knowledge that sleep, exercise, and eating a balanced, nutritious diet is essential for good overall health. 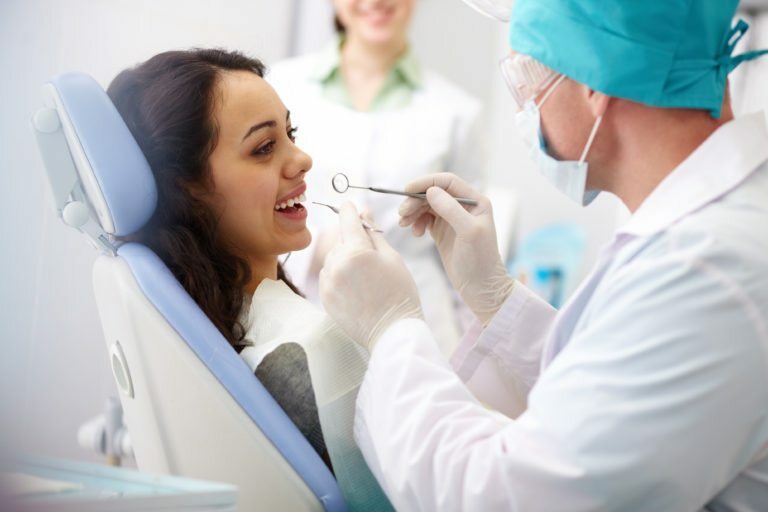 Taking care of your oral health is often left out of this usual health routine when in actuality it is quite important. Often times, your oral health can be an indicator of your overall health and boosting your oral health serves as a helping hand to your overall well-being. The relationship between your oral health and your overall health is interdependent, meaning that both aspects are dependant upon each other. When either element is suffering or flourishing, the other element will react by suffering or flourishing as well. This is why it is essential to promote your oral health and overall health. There are certain diseases that studies have found are linked to poor oral health. The buildup of excessive bacteria, resulting from poor oral hygiene, can cause both endocarditis and cardiovascular disease. Endocarditis occurs when the endocardium, or inner lining of your heart, becomes infected by bacteria. Bacteria from the mouth travels through the bloodstream and can infect weakened areas of the heart resulting in endocarditis. It can also contribute to the clogging of arteries leading to cardiovascular disease, heart attack, or even stroke. Finally, periodontitis, a form of gum disease, can cause problems during pregnancy, including premature birth and low birth weight. There are also certain oral diseases that are caused by overall health problems. Diseases such as Diabetes, HIV/AIDS, Osteoporosis, and Alzheimer’s can have serious implications for your oral health. Diabetes is most commonly associated with cases of gum disease. This is due, in part, to the reduced ability to fight infections, but also to fluctuating blood sugar levels. It has been found that taking care of the gums helps control diabetes and that people who don’t control their blood sugar levels usually have some form of gum disease. Other infections, such as HIV/AIDS can cause painful lesions in the mouth. These lesions may cause less brushing, flossing, or overall oral care, which only exasperates the issue. Osteoporosis is another disease that can affect oral health. Osteoporosis causes weak bones, which could result in tooth loss and medications used to treat Osteoporosis have a risk of damaging the jaw bones. Finally, there has been a trend linking Alzheimer’s patients to poor oral health. Usually, their oral health declines as the disease progress. It is also important to note that some medications used to improve overall health can be detrimental to your oral health. Decongestants, antihistamines, painkillers, diuretics, and antidepressants have all been shown to decrease saliva production. Saliva is essential in keeping the mouth clean and free from bacteria. Not that you should stop taking these medications, simply you should be aware of the effect they have on your oral health. To assure your overall health is at an optimum level, you should make oral health part of your daily health routine. Some ways you can do this are: brushing your teeth twice daily for two minutes at a time, floss daily, replace your toothbrush every three to four months, and schedule dental cleanings at least once every six months. By improving your oral health, your overall health will improve as well.